When you first start riding knowing what all the signs mean can be confusing. We’re here to give you a hand and hopefully help make your rides easier and safer. 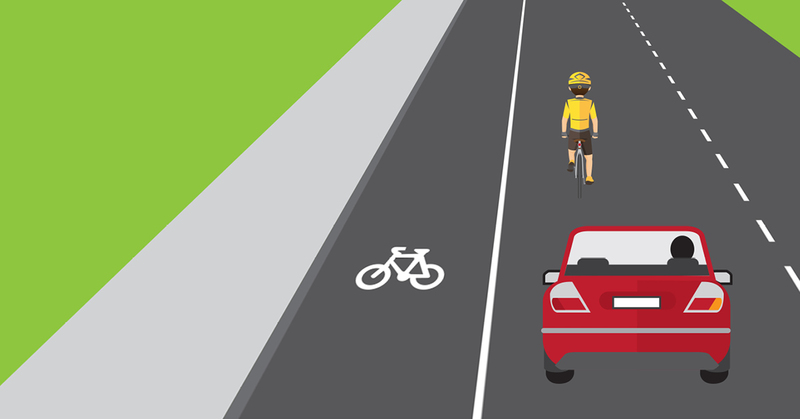 Bicycle Lanes are dictated by a sign with a bike and LANE underneath (as depicted in the below image). Cyclists must use the lane unless impracticable to do so i.e. broken glass, foliage or tree branches in the lane. 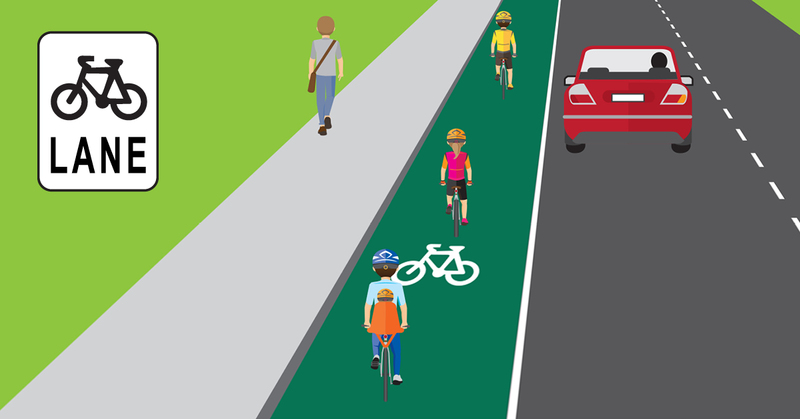 Bicycle lanes are often green to further highlight the lanes status for other road users. If a road shoulder has a painted bike but no Bike Lane sign then bike riders are not compelled to use it. 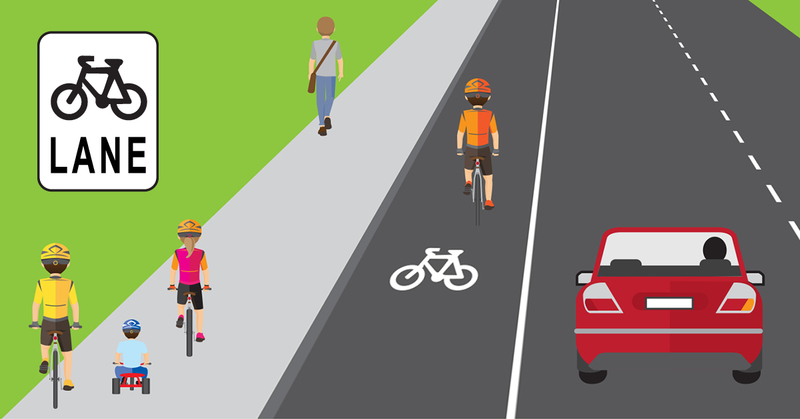 Cars may also use bike lanes when entering or leaving the road at a driveway/intersection but for no more than 50 metres. Note that bike paths can also be marked by lines & bike symbols on roads. Bikes are not required to ride in these as they are not Bike Lanes (sign needs to be present). Bike riders can also ride in bus lanes. However if a sign appears with the words “Bus-only lane” the lane must be vacated. Shared paths are for pedestrian and cyclist use. The idea is to share the space equally and provide mutual respect to others using the path. Shared paths signs are visible in the next image. When overtaking provide try and provide one metre of space. Travel at a speed in accordance to your surroundings. 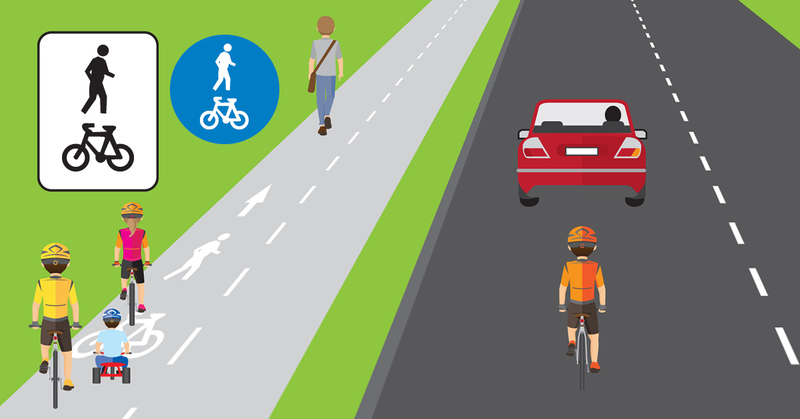 Shared paths often have many young children, dogs and older pedestrians that bike riders will need to be aware of. 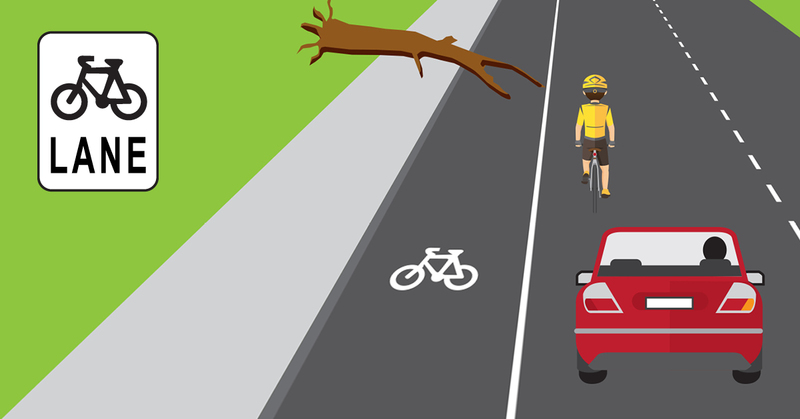 Often their movements can be unpredictable and the bike rider will need to stop in a hurry. Use your bell or politely yell “Overtaking on the left/right” to let pedestrians know you are there. Be aware of surroundings such as dogs, children and bike riders. If you are planning to stop, we suggest moving off the path to your left.